Haha – it’ll be surprised if you’ll know this idea comes from Quiraing Mountains of Scotland! It has to belong to a high esthetic culture which evolution very insensitive with art in folk. Elements are visible at first sight. People of Scotland are free and love freedom – so they express this for example by clothes, especially ladies. Original colors are light and pigeon blue, fern and taupe. All details are precisely described in full article. Please remember to share your final works in our Facebook Join. Link to the free pattern is below. 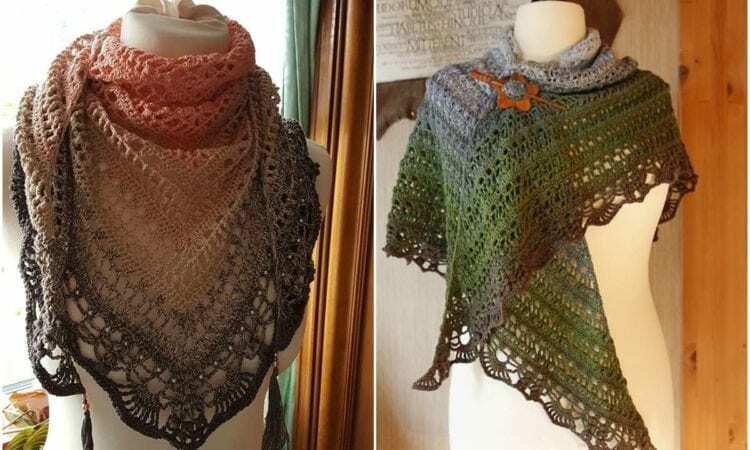 Shawl from Quiraing Mountains of Scotland – the free pattern is here. Here is the full post in our Facebook group.